From today's EMiniPlayer.net Trade Plan: Overnight, Responsive Sellers were active at 1369 and we got a test of the 1360.75-1362.75 overnight support. Heading into the day session, we have Pre-Market Support at 1360.75-1362.75 (Previous Close 1362.75), followed by Initial Support at 1355-1357 (Previous VPOC 1356.75). 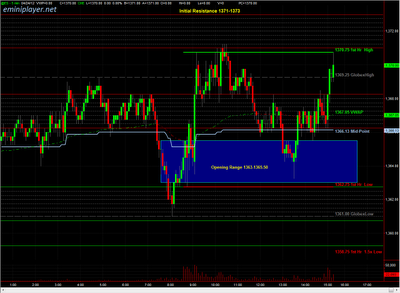 We'll also be using 1355-1357 as the Bull/Bear Zone to establish directional bias. Holding above 1355-1357 would indicate the market Balancing within a range ahead of tomorrow's FOMC Announcement...On the upside, holding above 1362.75 would indicate aggressive Buyers and bring the Open Gaps at 1372.50 and 1375.25 into play. 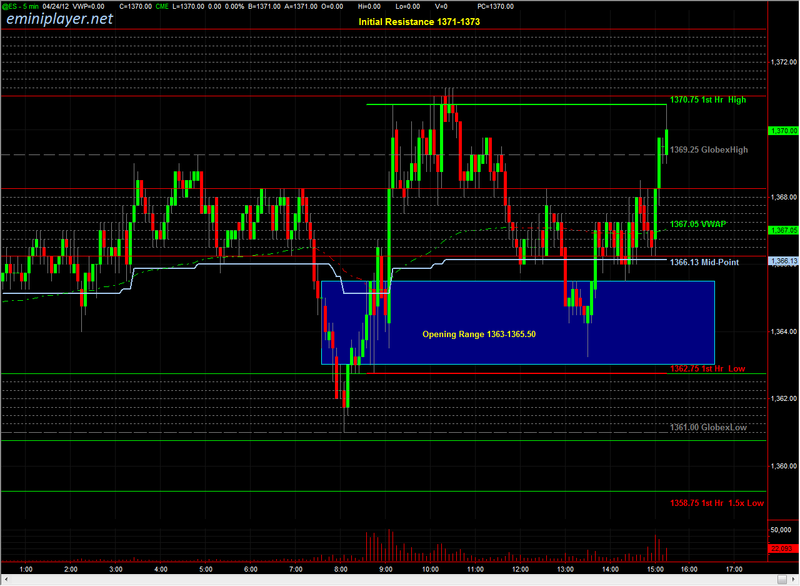 In the event of an upside move, I anticipate the Buying to shut off by 1374.75-1375.25. We have several econ reports out at 9:00 AM (CT) -- expecting range-bound price action during the first 30 minutes.